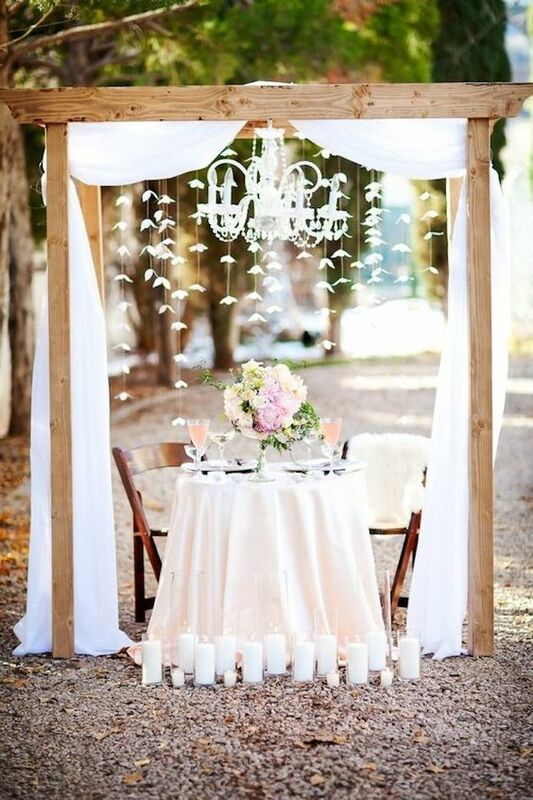 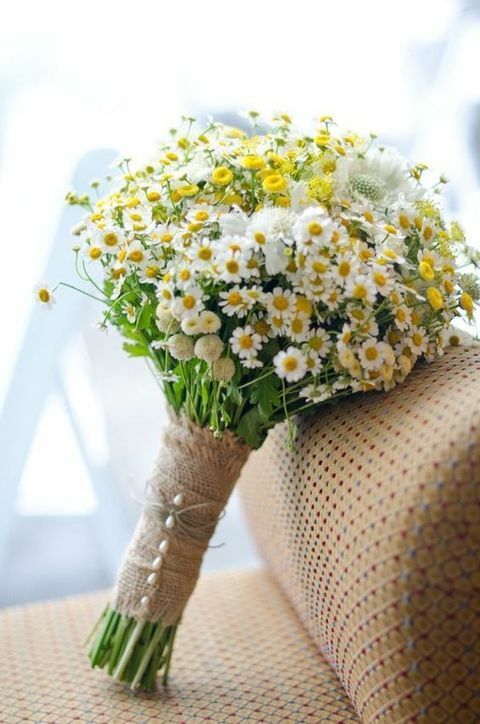 The summer wedding season is approaching and it’s high time to add some stylish touches to your wedding decor. 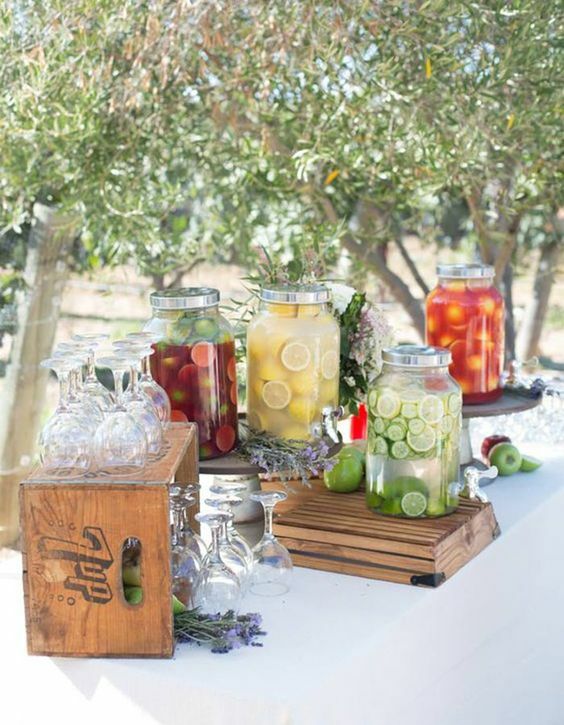 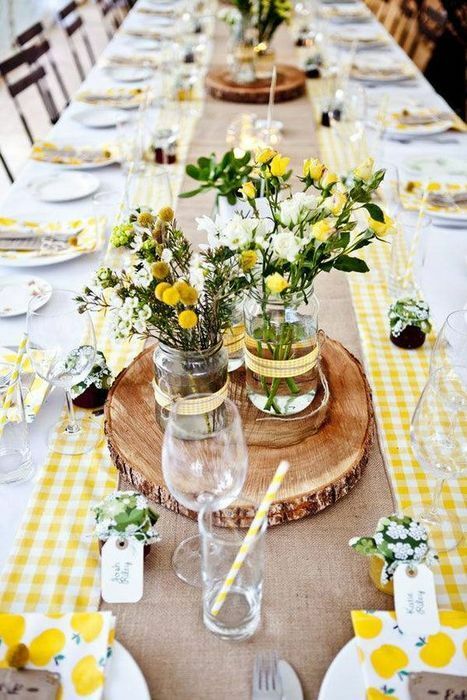 We’ve already shared some wedding themes and locations to have a summer wedding but what are the most popular wedding styles for summer? 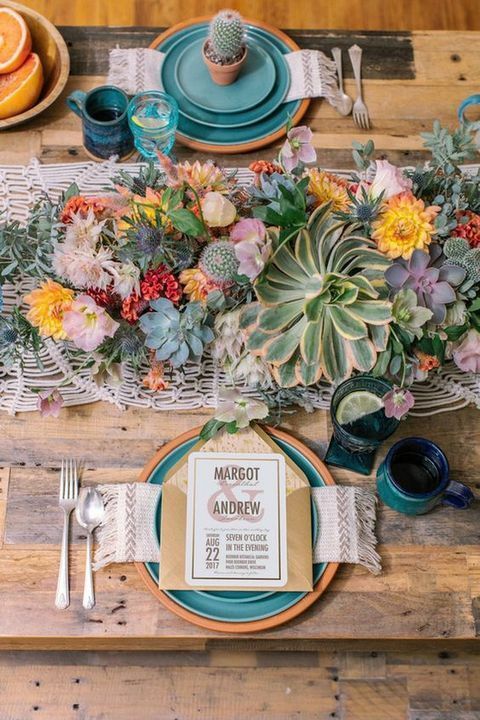 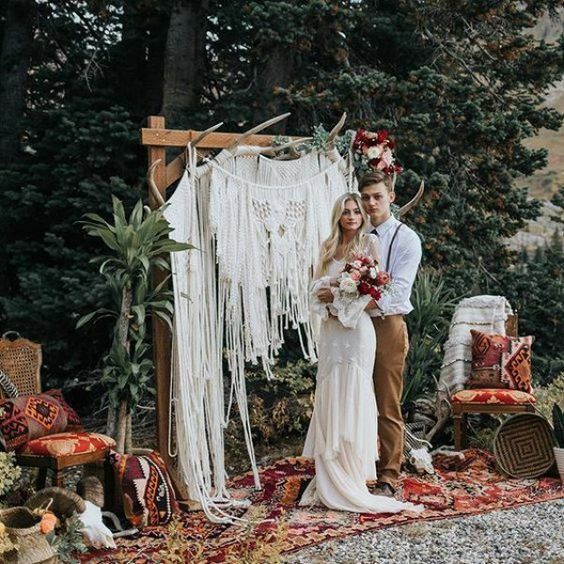 They are boho, rustic and modern/minimalist, and even if you go for a different style, you may add some touches of these ones, or mix them up – boho and rustic, for example. 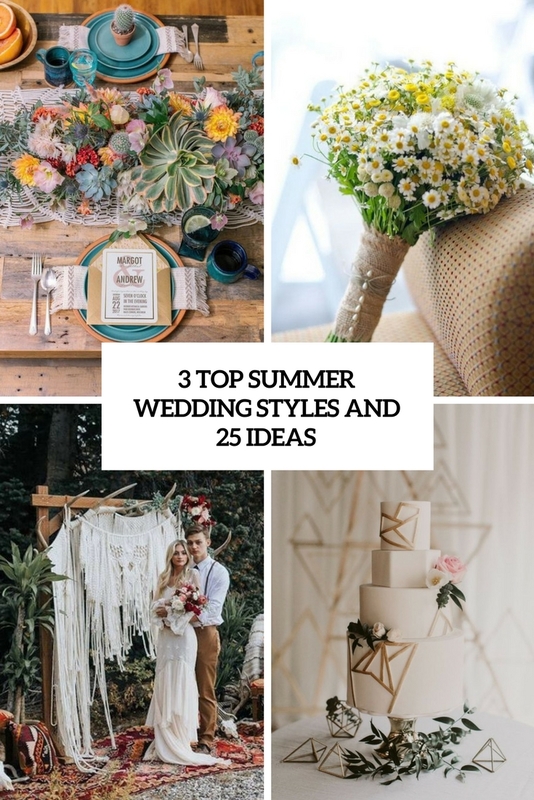 Let’s have a look at the coolest ideas for all of these styles. 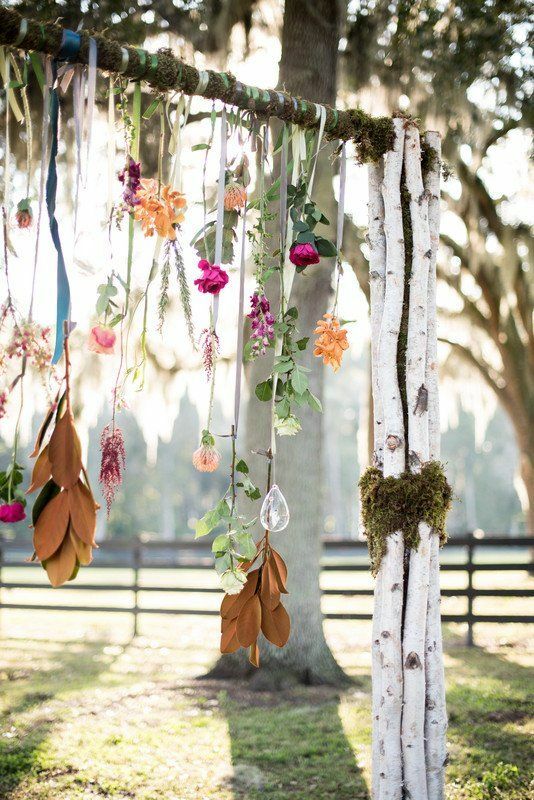 Boho style is extremely popular for weddings, for any season and any venue or location. 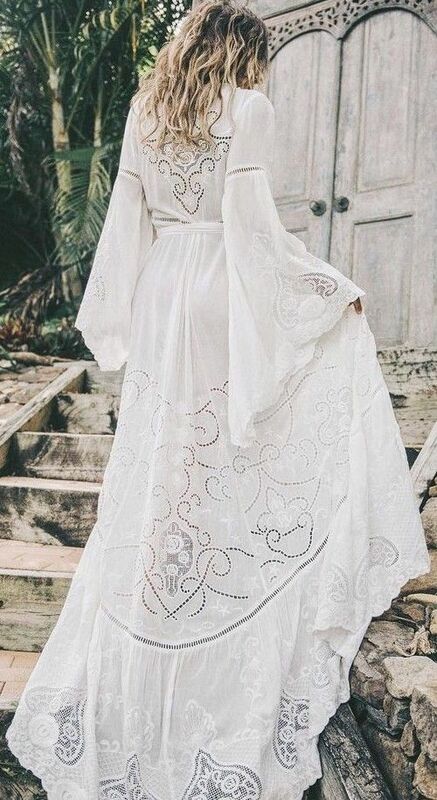 Boho chic summer weddings are a very popular idea now, and rocking this style is rather budget-friendly and looks very romantic. 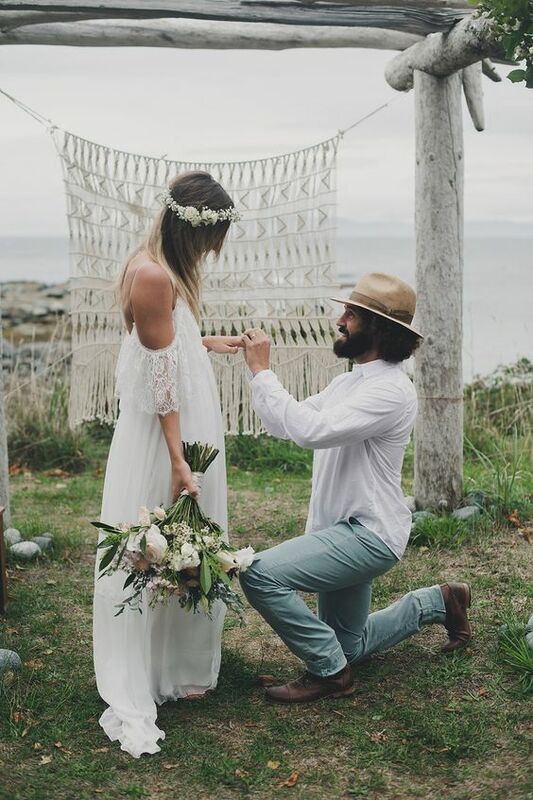 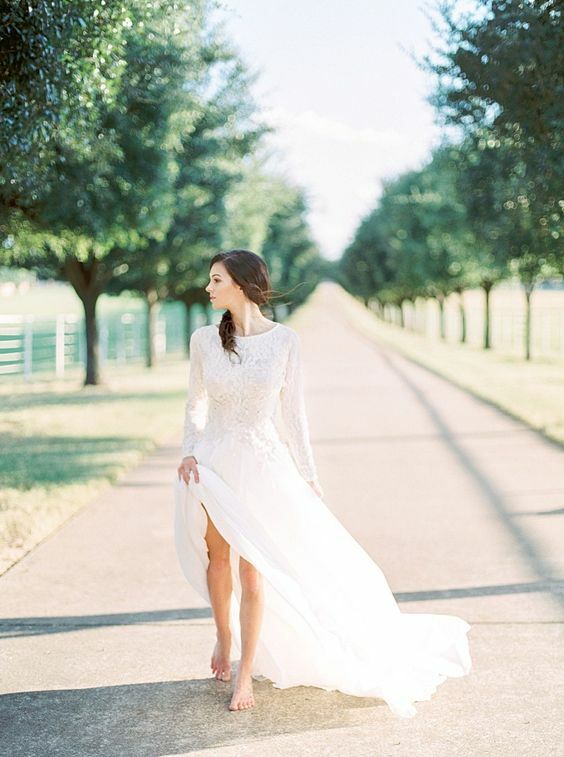 Rock a gorgeous ethereal boho chic wedding gown, add a fantastic hairstyle – messy and with braids, go for macramé details and bold florals – they can be bold ones as it’s summer. 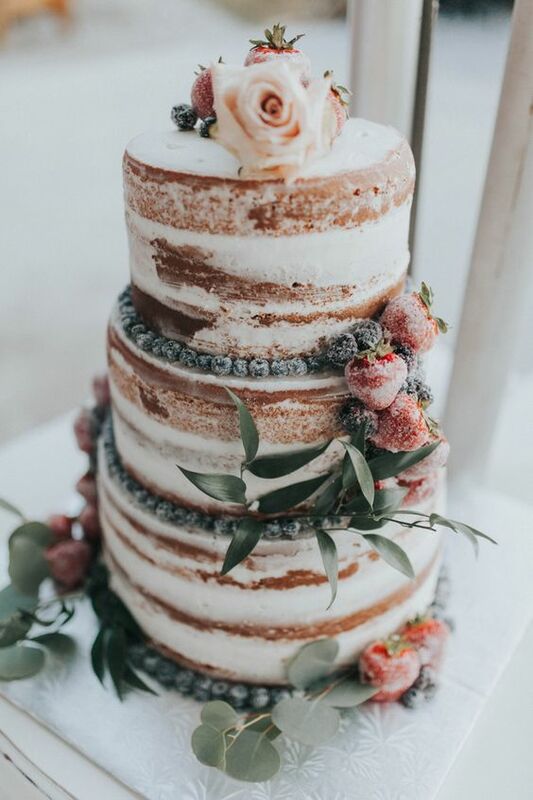 Order a naked wedding cake with fresh fruit, berries, blooms and other stuff. 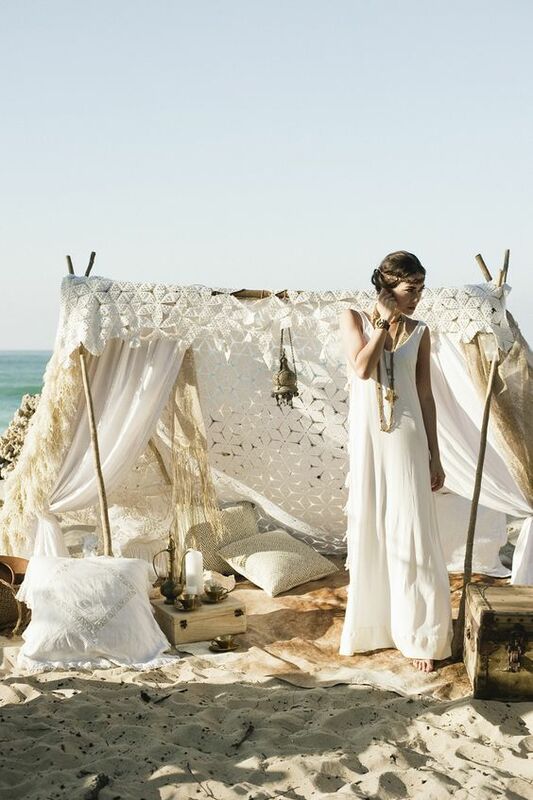 Feel free-spirited this summer! 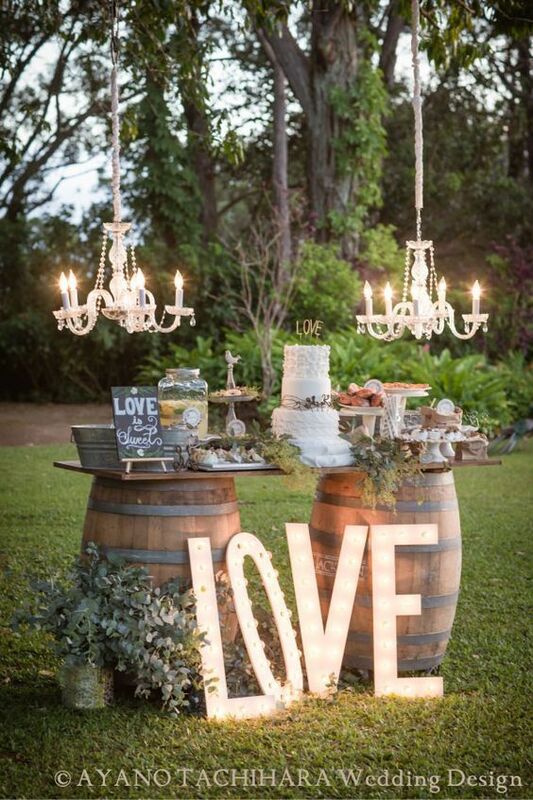 Rustic style is a style that will never be out of trend, it’s timeless and super popular, adding such details means creating an intimate ambience and a cozy feeling. 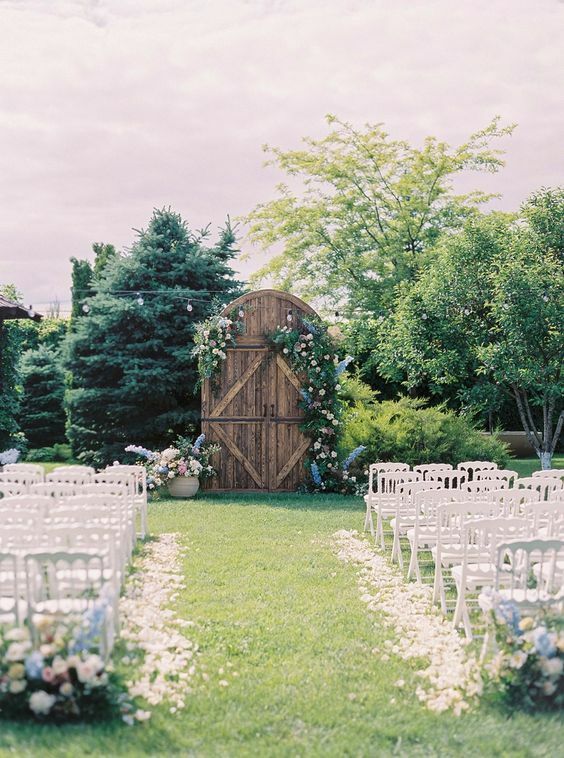 Go for cool rustic details: a wooden arch with lush florals and ethereal fabric or a large wooden gate decorated in the same way. 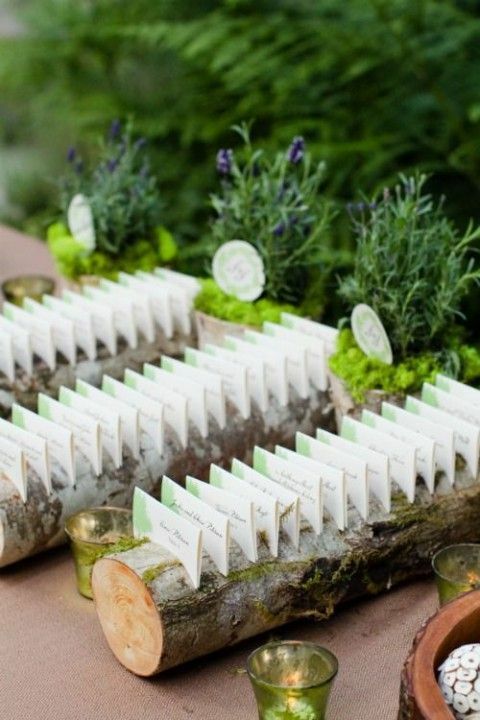 Display cards on wooden logs, decorate the table with a checked table runner and napkins, add pallets and go for simple flowers and herbs on the tables. 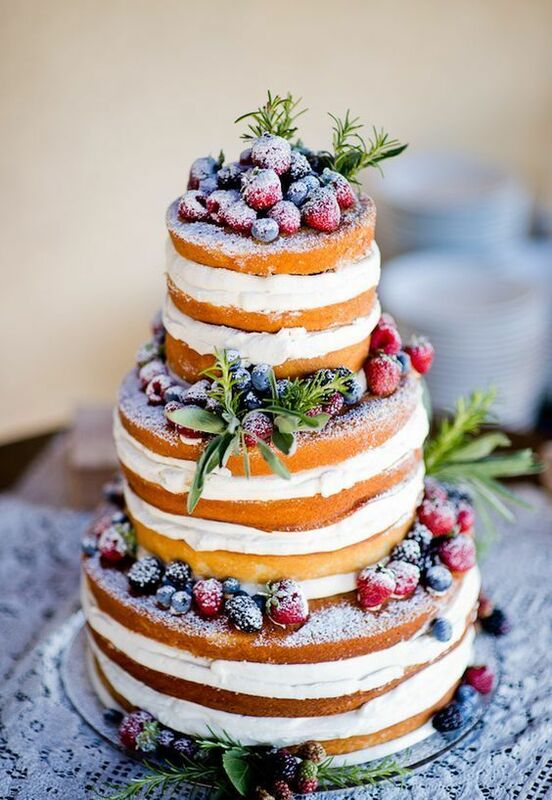 A naked wedding cake topped with sugared or fresh berries will be a nice choice. 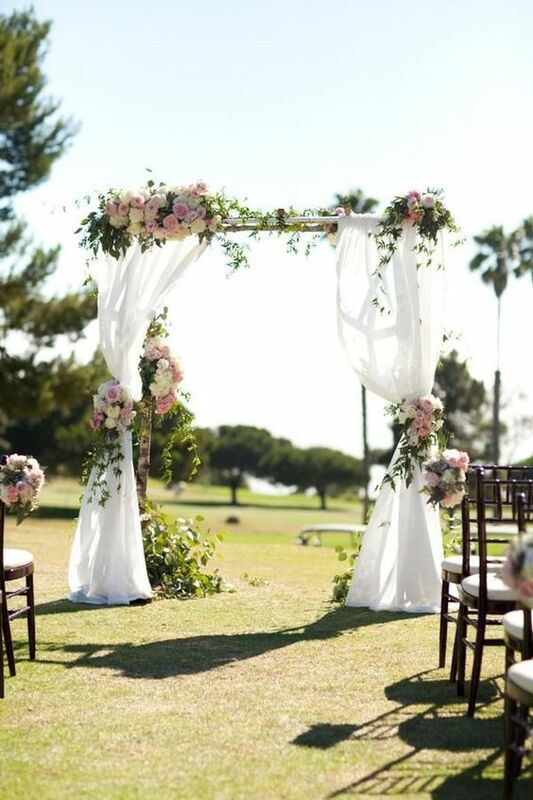 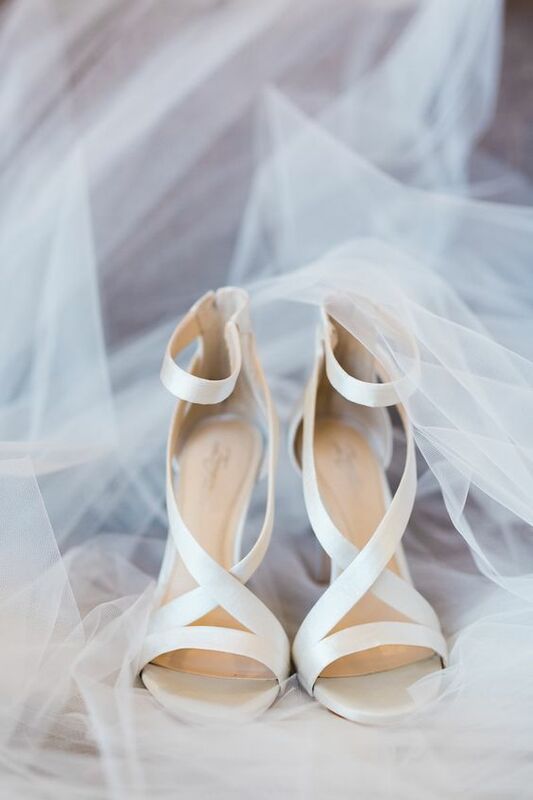 Modern or even minimalist wedding style is gaining popularity due to its stylish and laconic decor. 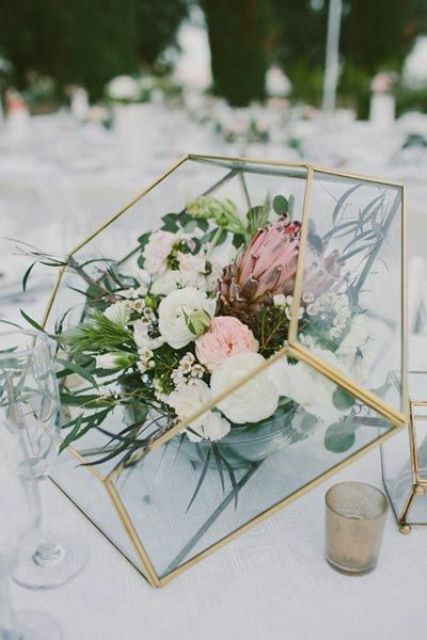 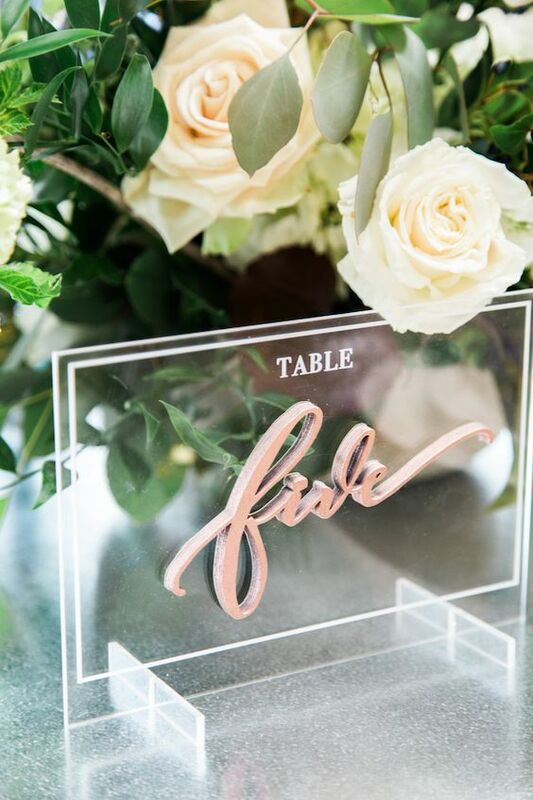 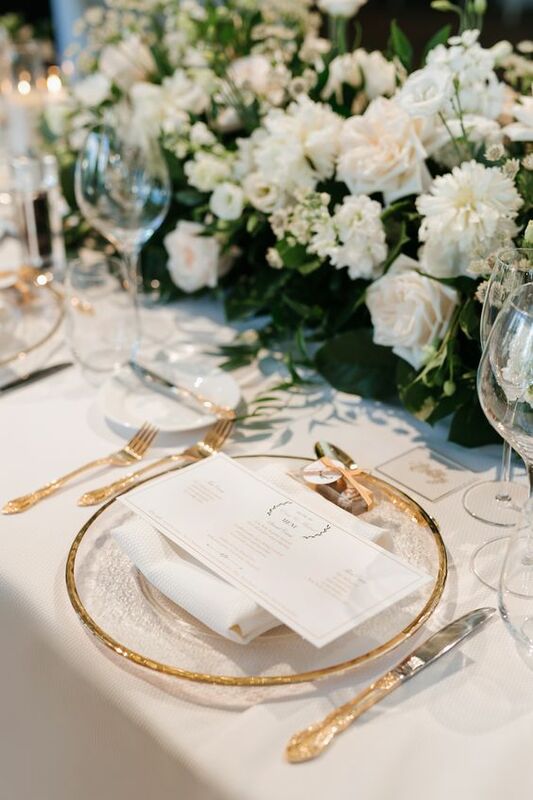 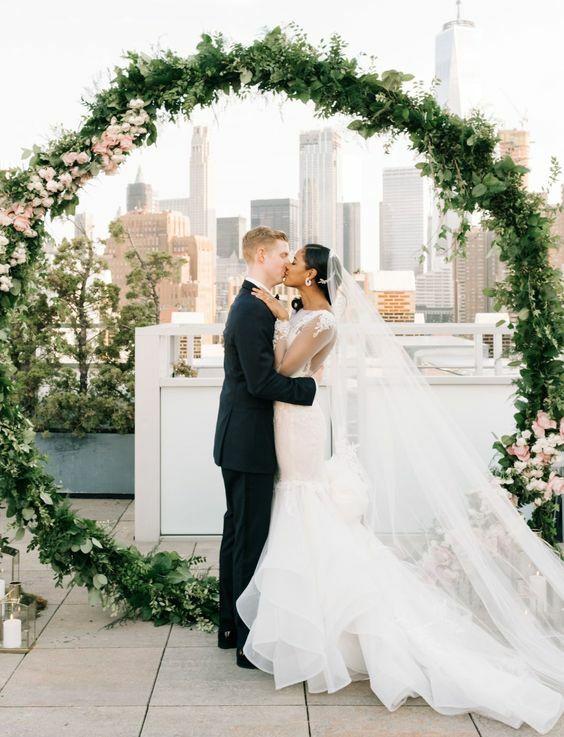 If you feel like it, add geometric decor, simple and laconic modern centerpieces and incorporate various wedding trends that you like: acrylic decor, circle wreath wedding arches, geode and agates and other things. 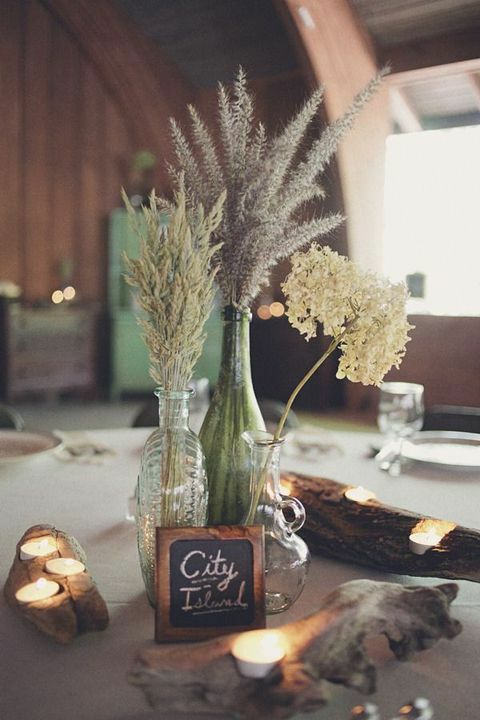 Keep it simple yet elegant and add metallic touches to make the decor cooler. 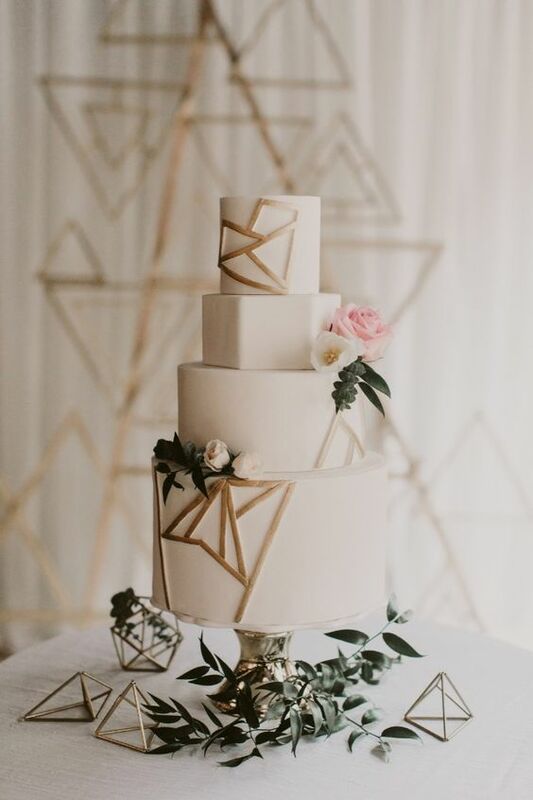 Prefer a buttercream wedding cake with geometric decor or topper and hanging florals instead of usual centerpieces. 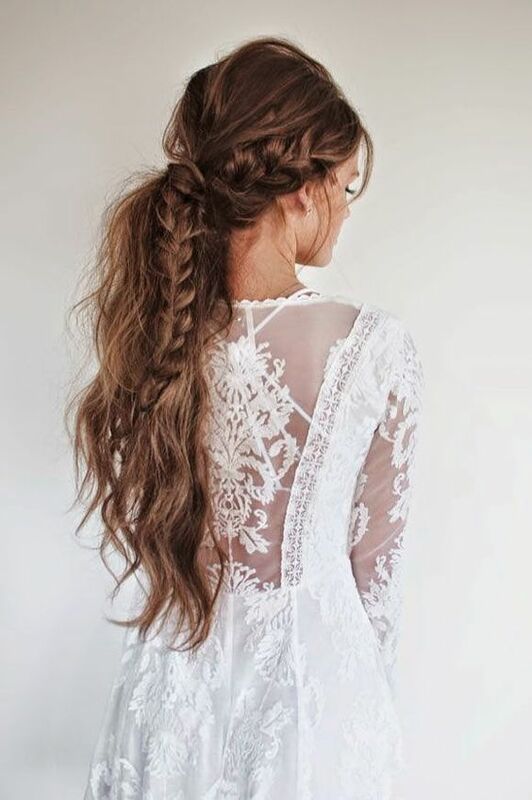 Be in trend!